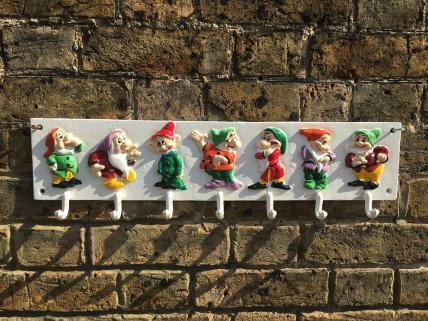 This cast iron cup rack features the 7 dwarves characters from the Snow White & The Seven Dwarves fairytale. With its cast iron construction, this cup rack is very sturdy and will easily cope with the heaviest of mugs. It is a quirky, vintage-style item that adds character and fun to any kitchen area.